We offer three private cottages named Isabella, Lukas & Frances, situated in the small town of Kamieskroon, laying at the foothills of the Kamiesberg mountains.<br /> <br />Isabella consists of one bedroom, an open-plan kitchenette, a large private bathroom with a shower, and a living area with a sleeper couch (suitable for one adult/ 2 children). A fireplace is set in the middle of the living area, and full DStv package included in pricing. An outdoor braai is also available. The unit is wheelchair friendly and easily accessible.<br /> <br />Lukas is a spacious unit with two bedrooms, an open-plan living area, a cosy kitchen with indoor braai facilities, and a private bathroom. 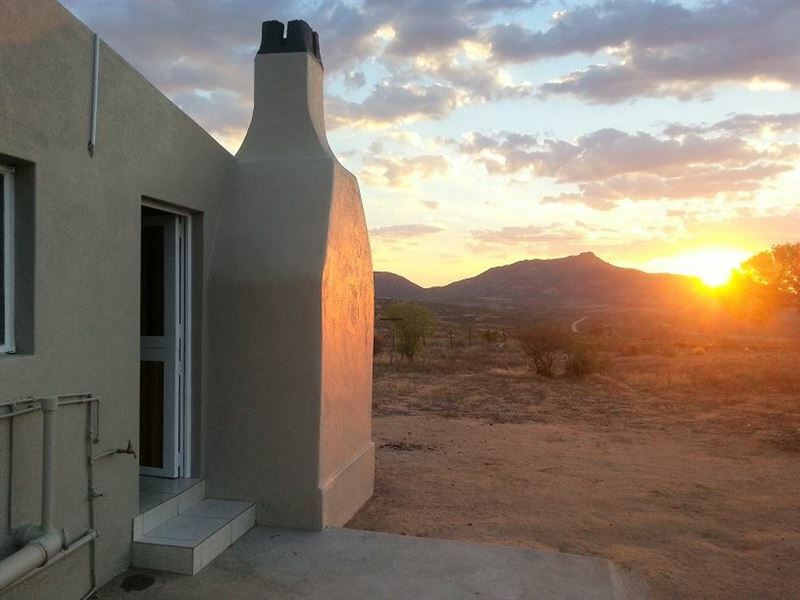 The unit overlooks the well-known Boesmankop and surrounded by the Kamiesberg mountain range. Full DStv package is included in pricing.<br /><br />Frances is a spacious modern one bedroom apartment. Two single beds & double bed sleeper couch. Living area with flat screen TV with premium package DSTV (Supersport, Kyknet etc). Fully self catering unit (kitchen included). Outdoor braai facility on shaded porch. Secure undercover parking & private entrance gate.<br /> <br />We are pet friendly, but do not allow pets on furniture/ beds. <br /> <br />The town is more or less in the centre of Namaqualand, about 70 km to the south of Springbok which makes it an ideal base during flower season to travel to the rest of Namaqualand. 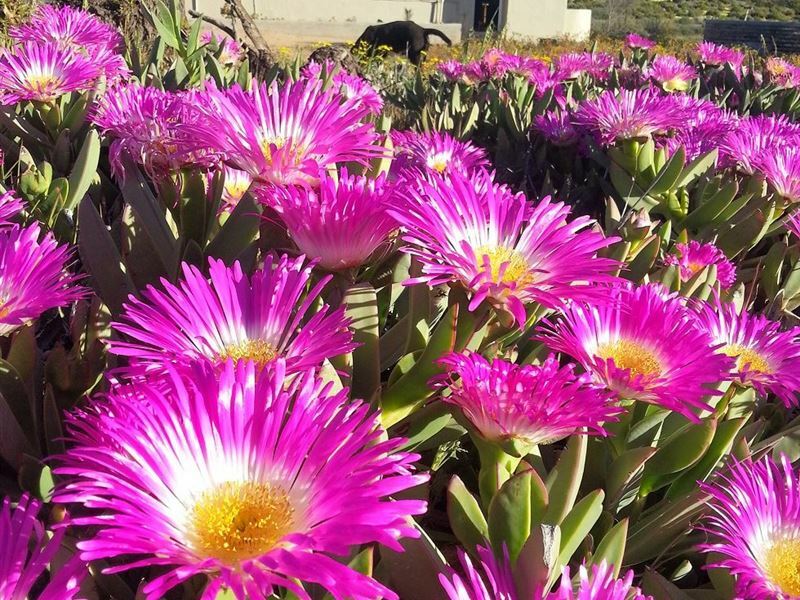 Namaqualand is renowned for its abundance of wild flowers displays during Spring. "Record keeping of reservations to be improved. Although I booked on 22 Jan 2018 for 6/7 Sept 2018 and paid in full by 24 Aug 2018, Michell discovered, on the day of our arrival, that she had a double booking. After feverish arrangements she managed to put us up in two double rooms in a lodge - not what we had in mind when I made the reservations. I paid R1680 in total through SafariNow while the fee of the lodge amounted to R1400. Michell refunded the difference in fees - according to her this amounted to R270. I did not even took the trouble to go into an argument about the R10 difference. May be you will understand why Cosy Cottages spell FRUSTRATION to me." "Really nice, just very cold!" "It is a very nice and cozy place to stay"
"A welcome stay with a VERY welcome arrival from the caretaker"
"A great place, just what we needed for an overnight stop. The Malawian gentleman was GREAT!!!! Very welcoming and very pleasant." "We really enjoyed the stay, and was impressed with the house. The view of the mountains are amazing! The only discomfort was that we had my mother-in-law with us, and the bathroom that is situated in the main bedroom, caused some difficulty. Other than that, the place is truly beautiful." "Comfortable and in a beautiful area"
"The house was spacious and comfortable. The hostess very friendly and helpful. We enjoyed our stay and the cleanliness and service was perfect. Every day enough clean towels and the bed made up. Very good!" "The cottage was beautiful and had everything you need. Everything very clean and spacious. Owners were very friendly and welcomed us on arrival. We could buy some wood from them. Close to shop and liquor store. Nice front yard with big fireplace! Ideal for a few days away to relax!" 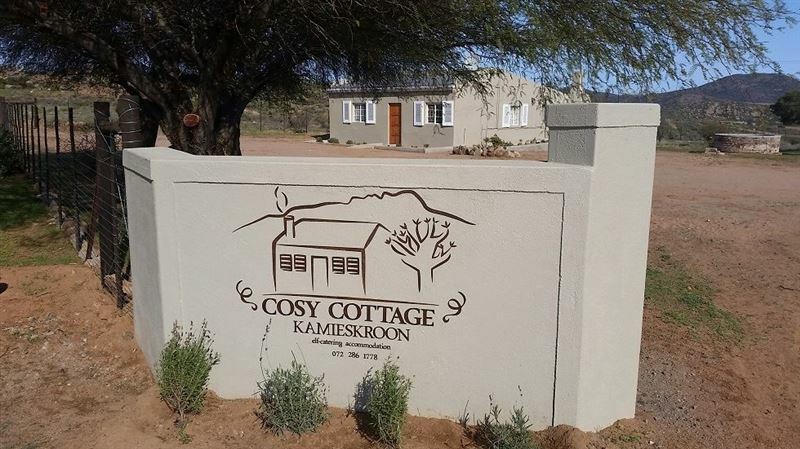 "Lovely place to stay in a place like Kamieskroon, more than what we expected, very clean, comfortable and the hosts very nice people and informative and helpful, can recommend to anyone"
"EVERYTHING WAS FIRST CLASS. ITS LIKE AN OASIS IN THE DESERT." "The accommodation is very neat and very well equipped."